For those who have definite ideals and ambitions in life and are fulfilling them, but on rare occasions are tempted to be led away from their own ideas, aims and work by the enthusiasm convictions or strong opinions of others. The remedy gives constancy and protection from outside influences. 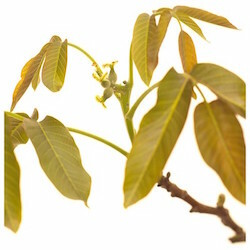 Ingredients: ACTIVE: 5x dilution of Juglans regia HPUS. INACTIVE: 27% alcohol.